Every single actor, artist, doctor, [enter profession here] out there sucked when they first got into their craft. And yet the one common trait shared amongst all of the people that found success is that they kept going until they got good. Failing isn’t really failing when the whole thing is a learning process. 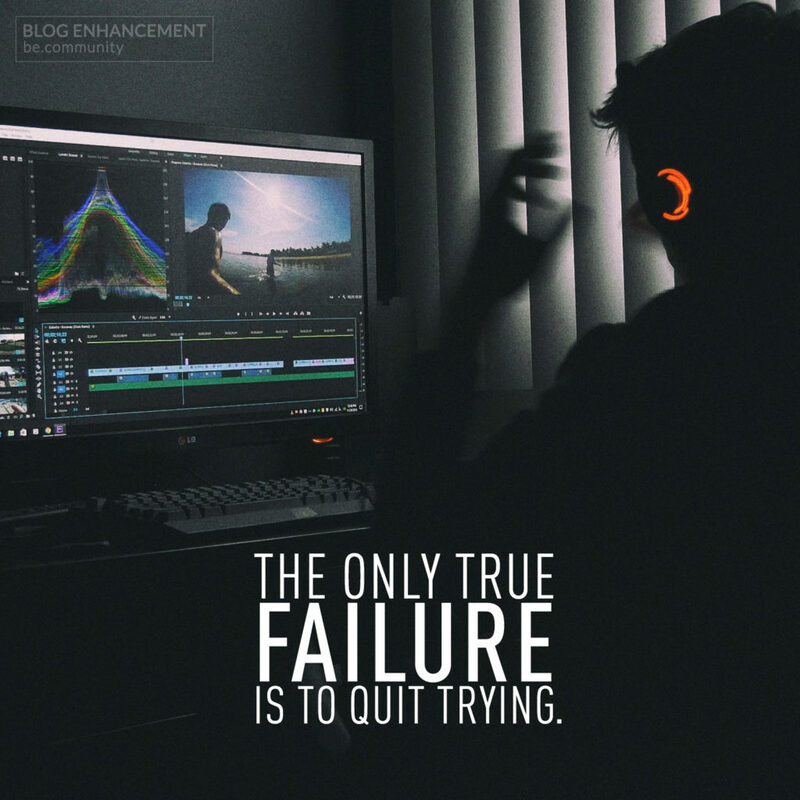 Failing is only failing if during this process you give up and stop.